Home Designers as well as for Professional Interior Decorators! 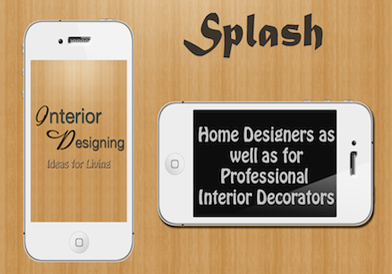 Interior designing is an advanced mobile application developed for the home designers as well as for professional interior decorators. 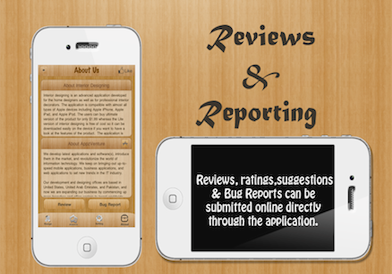 The application is compatible with almost all types of Apple devices including iPhone, iPad, and iPod Touch. 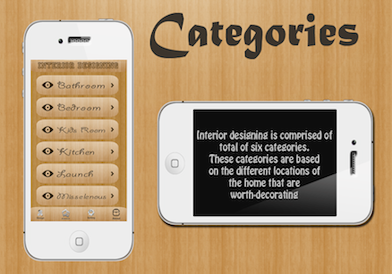 Lite version of Interior Designing is free of cost so it can be Download easily on all the apple mobile device if you want to have a look at the features of the product Click Here. Slideshow Basic Purpose is that you can view the favorite images in the animated form; The selected images can be put aside in the slideshow for rearrangement. 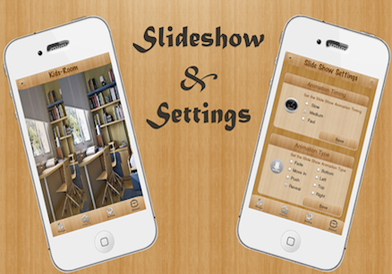 You can add, set, and delete images in the slideshow and set the running time of it through slow, medium and fast options (You will find all three options in the slideshow settings). Bug Report: Users can report their complaints about Application bugs or errors to the company. 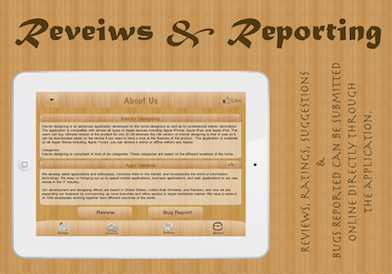 App Rating: Reviews, ratings, and suggestions can be submitted online directly through the application. Interior designing also allows users to share the application or end-product of home decoration or remodeling with friends, family, and world. They can use Email to promote or send their designs and also like the application accessing its Fanpage. Interior designing is an advanced application developed for the home designers as well as for professional interior decorators. The application is compatible with almost all types of Apple devices including Apple iPhone, Apple iPad, and Apple iPod. 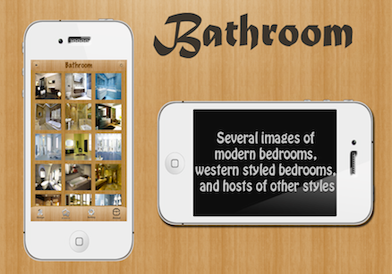 The users can buy ultimate version of the product for only $1.99 whereas the Lite version of interior designing is free of cost so it can be downloaded easily on the device if you want to have a look at the features of the product. The application is available on all Apple Stores including Apple iTunes- you can access it online or offline without any hassle. Interior designing has an abundant of images, snapshots, and pictures you can still download more from the internet and add them in the application provided that you are a paid user. 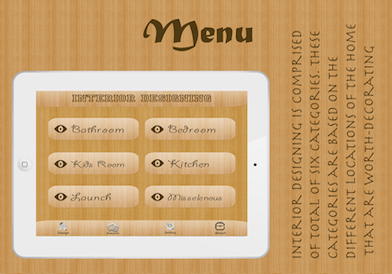 Decorate your home using virtual application of interior designing and adore your home, office, and apartment yourself. The application is the fast and easy of decorating the sweet home. 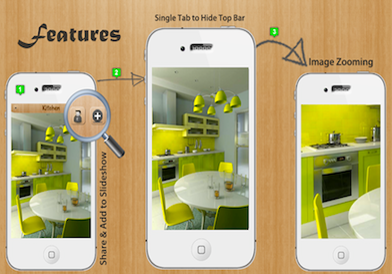 Take the guesswork out from the application, which is provided in the form of real-time images and graphics and decorate your home by remodeling your home on your iPhone, iPad, and iPod. Use an interactive platform to pile up your work and experiment with colors, pictures, and decorative materials through Interior designing. Interior designing is certainly an innovation and exquisite application built for the connoisseurs of home decorators and internet designers who are seeking out an easy way of doing virtual designing as using 3D software(s) or applications may be very time consuming or costly to use. Interior designing is a well-thought of application whose development is done by AppzVenture (The world's leading Mobile applications, software(s), and graphic design developers). 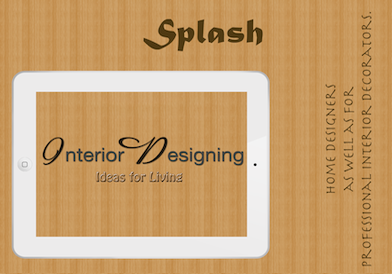 © 2012 Interior Designing . All right Reserved, Product of AppzVenture Register Trademark.